Your information is secure, & won't be shared with a 3rd party or spammed. If you’re planning to clean parts with a flammable solvent (i.e. any liquid with a flash point) in an ultrasonic cleaner, there are several possible approaches to consider. Operating an ultrasonic cleaner not designated as explosion proof with the tank filled with a flammable solvent poses a serious explosion hazard. However, beakers filled with flammable solvents may be positioned in water-filled ultrasonic cleaners for safe operation. * Small parts can be cleaned inside covered beakers which are partially immersed in water. The ultrasonic waves pass through the beaker walls and into the solvent. This operation should be carried out with sufficient ventilation to prevent solvent vapor accumulation. Beakers can be supported with special ultrasonic tank covers as shown to the left. The maximum quantity of solvent that can be treated in an open ultrasonic cleaning tank depends on local fire regulations. For cleaning larger parts with volatile solvents you’ll need a SOL XP explosion-proof ultrasonic cleaner available from Tovatech. Fully nitrogen inerted for fire protection. ETL approved as sold, no additional approvals required. Many cleaning applications that use flammable organic solvents can be accomplished with either biodegradable water-based cleaning solutions or non-flammable solvent-replacement chemicals. If your process has been registered with a regulatory agency, such as an FDA-approved process for cleaning medical devices, you may not be able to make the switch. But if you are not in a regulated environment a change in process may be the most cost-effective approach. Water-based solutions are very effective in cleaning a wide variety of components including electronics, optics, and medical devices. Water-insoluble paints and adhesives can be removed from metal parts such as paint gun nozzles with suitable solvent replacement chemicals. 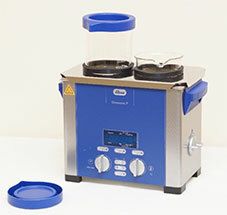 Extremely small parts such as watch parts, microoptics, and micro-machined parts are very effectively cleaned, rinsed, and dried in the Elmasolvex VA ultrasonic cleaner. This ultrasonic cleaner is certified to be explosion proof when used with solvents with a flash point ≥ 12°C. 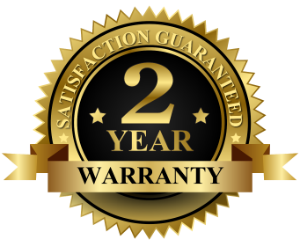 Optimum cleaning results are achieved using a combination of multi-frequency ultrasonic cleaning, oscillation, and vacuum technology. 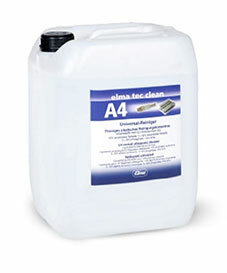 Cleaned parts are completely residue-free. *Always check with your local safety organizations on the proper use of flammable solvents for cleaning. Tovatech is not responsible problems may arise from cleaning with flammable solvents.